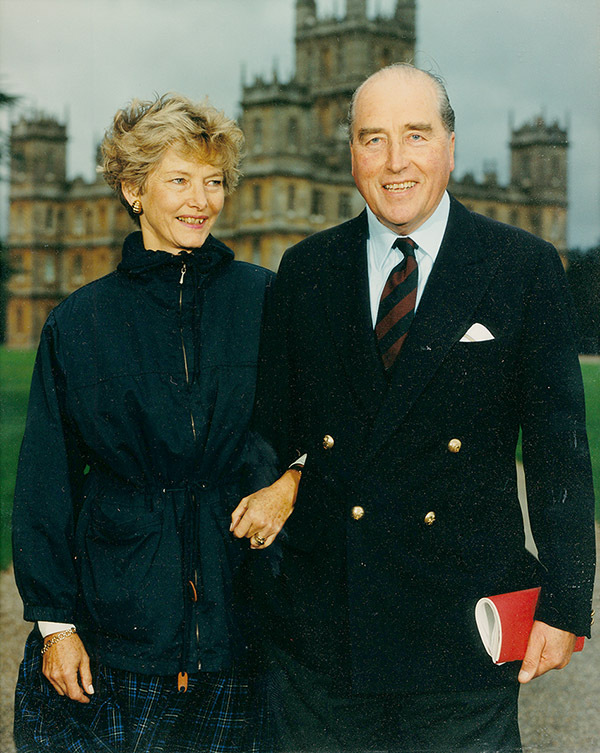 Twenty two years ago, as Geordie and I began to spend some time together, his parents, Henry and Jeanie, asked me to supper at their house by the lake in the park at Highclere, showing me round their garden with delight and offering kindness and support. With a soft American accent despite already living here in the UK for over 40 years, Jeanie was ever charming and courteous. We played tennis and later inspected tadpoles, went on walks, or commiserated when an early frost caught a rhododendron or azalea. At her husband’s side, but also forging her own interests in music and local charities, she was a much loved and respected lady by the time I was lucky enough to meet her. Soon after marrying Geordie, my own mother died, shortly followed by the birth of my son Edward. Jeanie and Henry were wonderful at such a difficult time and in appearance, my son so resembles her. She became a widow much too soon and yet, with strength and determination, created a different life, traveling to cities for long weekends with us and with friends, exploring the Galapagos or walking Hadrian’s Wall. Despite the deep current grief and loss, we above all remember the better times. 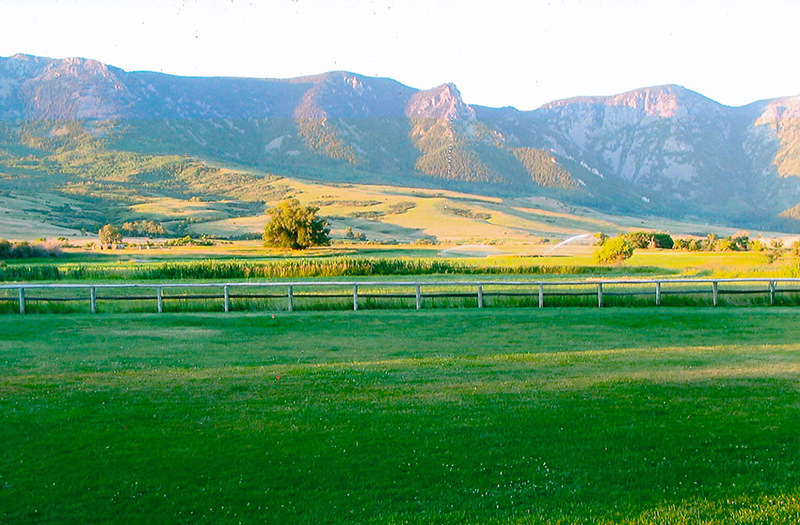 Her rock was her home in Wyoming, a charming ranch house full of memories and above all views. Many of her family are still there and, as she was able to return less often, she kept in touch by phone. It is a huge landscape with distant mountains, clear air, good treks, with fishing and paddling in the cold creeks in the summer. Here she was happy in jeans and plimsolls, spending time with family and friends, thinking nothing of the great distances in order to visit the people she loved. In contrast, back at Highclere, she was unfailingly beautifully dressed, retaining her elegant figure and sense of style throughout her life, ever smiling and always there by her husband’s side at Ascot races and dinners. She was a practiced hostess, effortlessly taking on a mantel which must have been as daunting then as it was to her earlier predecessors at the Castle. Married in New York, somewhat unusually her new father-in-law and his valet decided to set off on their honeymoon to Florida with them. Unfortunately the 6th Earl’s golfing tactics on the Florida courses were a little on the innovative side of the rules and perhaps fortunately he returned home early. She had so many stories to tell, so much laughter and when it is too late you always wish you had made some notes. Hunting for Lottie, Jeanie’s always missing and rather naughty border terrier was a frequent pastime and occupied much of both the family’s and the staff’s time. There seems to be something about Highclere which encourages dogs to roam widely and freely and my dogs certainly seem to follow in Lottie’s footsteps. Perhaps one of Jeanie’s most lasting legacies will be the Newbury Spring Festival. 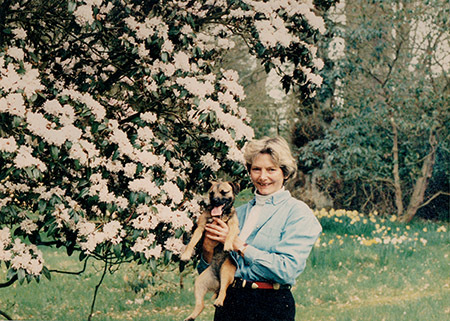 Forty years ago she had the idea of creating an international classical music festival. Now, for two weeks every May, Newbury plays host to the most remarkable world famous orchestras and performers in a number of venues in and around the town and appealing to a wide variety of tastes. It is a remarkable achievement and one which has considerably enriched this area as well as forging links to encourage children to take up music and perform. Above all, she will be much missed by her three children, by all her grandchildren, by those like me who became her daughters and son in law, her wider family and her many friends, the whole community at Highclere along with all whose lives she touched. Requiescat in pace. Precious memories of those we love sustain us all our lives…making their loss almost bearable….you and your family are in my thoughts at this time. Jeanie was the most wonderful lady, always gracious, modest, kind and gentle. 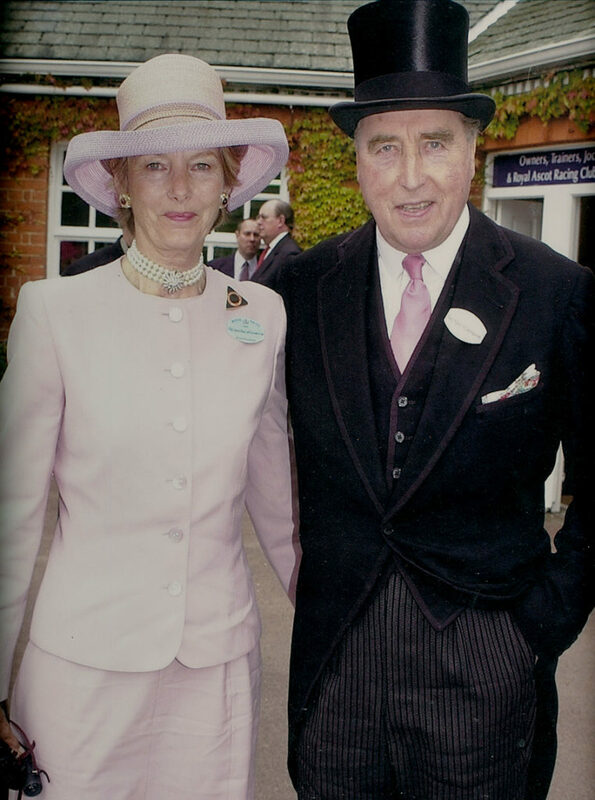 I will always be grateful to her for the wonderful support she always gave to Newbury Spring Festival which she founded over 40 years ago, and for and her personal friendship which I treasure and will miss. Rest in Peace, Jeanie. We will miss her so Mark! Beautiful tribute! She was a special lady. So sorry for your loss! Wonderful memories. Lovely memories. Sorry for your loss. May Jeanie RIP. Best wishes. Lady Carnarvon, what a lovely tribute you have written about “Jeanie”. I am sure she is smiling from above and smiles at how lucky Geordie was to have found you. 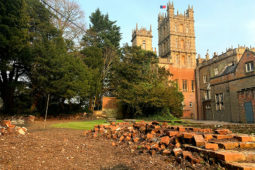 My condolences to you and your family as well as all at Highclere. Very beautiful memories … you have memorialized with grace and charm …. What a blessing it is, to have wonderful mother-in-laws and cherish all the good memories. My condolences to you and your family on the loss of Jeanie. May the God of all comfort be with all her family and friends, especially you, daughter-in-love. She had so many friends – she always has time. Beyond belief and hope, there is faith. Ever so sorry for your loss. What a great loss it is. Thank you – it is. Your love for her shines clearly through your words. Condolences and prayers for your family. May this wonderful lady rest well. My sympathies on the death of your mother-in-law. My prayers go out to you and your family. 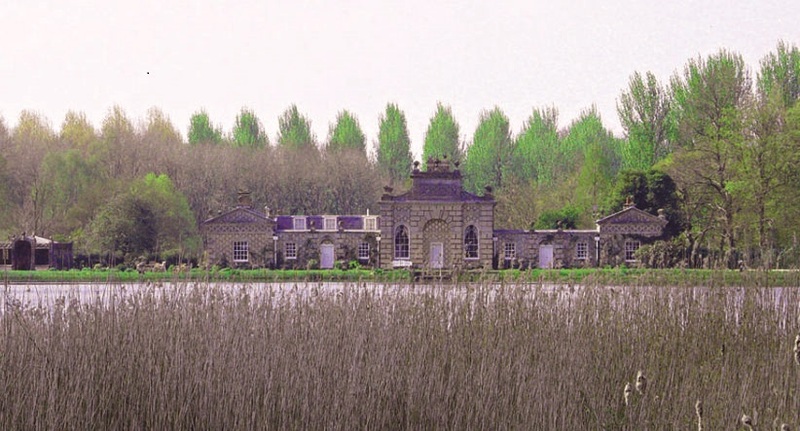 Thank you for sharing this lovely, poignant story about the Dowager Duchess. She was a gracious person whose footsteps you will fill. You have painted another beautiful picture. May God Bless your family at this time. My prayers are with you. A life beautifully lived. Sending deepest sympathies. Your tribute is wonderful and conveys the love she had for her family, friends and community. I hope the memories bring you comfort. What a lovely tribute to I’m sure a woman most deserving. It must’ve been wonderful to have known her! Thanks for posting such a beautiful homage to her. A beautiful and elegant woman…With some seriously good-looking children! Your words paint a warm, colorful portrait of a lovely Lady. Wonderful tribute. My sympathies on your family’s loss. My deepest sympathies on your great loss. Never say in grief, she is no more, only say in thankfulness, she was. My deepest sympathies to you and your family at this time. She was a remarkable woman. Very sorry for your loss. A lovely tribute to an amazing lady by your account. From what I have read about you and what you are achieving at the beautiful Highclere you are just as amazing too! Thank you. She was a truly amazing person. You have such beautiful memories. May they always comfort you! My sympathy to all. So sorry for your loss. You have some lovely memories of a lady who looked as though she carried the sunshine with her wherever she went, and who will now be the sunshine that brings light and life to every day. Lovely read, thank you for sharing. Our condolences to your family. May God bless you and comfort you and Lord Carnarvon, and all your family, during this time. Your tribute to your mother-in-law was absolutely beautiful. Thank you for sharing. What a beautiful tribute to your mother-in-law, giving us all a glimpse into her gallant, purposeful, brave and heroic life. What a treasure you must have been to her, not just as a chronicler of the fascinating women of Highclere, but as woman of substance yourself. Deepest sympathies to you and your family and friends. Such pain to lose those we love. What a wonderful tribute! Thank you for sharing the story of this elegant lady. You write so beautifully! I never fail to enjoy your posts, and to learn something. If it’s not too inapproprite to mention after a post about your recent loss, I do hope that these writings of yours are being collected into book form to be sold at the castle or online. They are too enjoyable and historically important to to limited to the vagaries of internet access. Again, thank you so much for writing them! In the wider Parish, Jeanie is also remembered and loved as a quietly devoted Christian and member of our Highclere Church community. She and all the family are in our prayers. Please accept my sympathy for your deep loss. Losing parents and those who become one is stark and never easily accepted. Thank you for sharing bits of Lady Jean’s life and pictures with us. I am praying for you and your family during this grief. So sorry for a great loss in what sounds like everyone’s lives. A wonderful loving tribute. My most sincere condolences to your family during this difficult time. What wonderful memories you have of her. I too, was blessed with a mother-in-law that was also a dear friend to me. Thank you for sharing such a beautiful love story and wonderful photos. May all your wonderful memories be a comfort to you and yours. Thank you for sharing. My condolences on the passing of your mother-in-law. The moving tribute that you wrote creates a vivid picture of the beautiful, elegant woman that she was. I’m sure that, in time, your memories of her will melt your sadness and warm your hearts once again. She was very beautiful – inside and out! Thank you for sharing such a personal and warming story. What a lovely tribute, thank you for sharing.. The matriarchs of Highclere have played such an important role in the enduring success of the Carnarvon legacy. Sorry for you and your family’s loss. What beautiful pictures and memories. Thank you for sharing in such a poignant way the remarkable life so very well-lived. That my daughters-in-law should remember me so fondly is my fervent prayer. Much Sympathy and peace to your family. We weep in our hearts for you, all hoping to bear the burden somewhat. Thank you for sharing her beauty and character by the expressed love, memories, and respect you have for her. What a lovely lady who was an intimate part of your life and also lovely is the one who is writing this blog. My deepest condolences on the loss of your dear mother-in-love! Your tribute to Jeanie was very touching. May the Lord comfort you and Lord Carnarvon and the whole family during this difficult time. Greetings from Fort Worth, Texas. While reading your lovely and soul stirring tribute, tears started flowing. My mother died from breast cancer a few years ago, and I will forever miss her kind and loving presence in my life and in others who were blessed in knowing her. When I was sick, she was always at my side, with gentle loving hands on my brow. Even now, a memory will crash into my heart, bringing me to my knees. She taught me a passion for gardening, and when my lawn breaks into a spectacular spring hysteria of flowers, I sense her quiet presence. I choose to remember the loveliness, and not the ravages of cancer and dementia. Thank you for sharing the life of this wonderful lady who touched your heart, and the heart of so many others. So sorry for your loss. God’s blessings on you all. She loved her Wyoming summers – and I am so glad I was lucky enough to share some time with her and those she loved in Sheridan. May I also offer my condolences in sympathy for your loss. Your beautiful tribute is quite moving and inspiring. How blessed you are to have had such a wonderful lady as your mother-in-law. Peace be with you. A beautiful peace of writing that captures a beautiful soul. Thank you for sharing–and for reminding us to take notes. Best to you and your family in a time of sadness. My condolences to you and your family. May your memories of her bring your family comfort. I am so very sorry! She was a beautiful lady. May she Rest In Peace. What a beautiful and heartfelt tribute to a woman who was pretty remarkable. May she Rest in Peace and I do hope that in the not too distant future the happy memories will get you through the sadness we all have to endure when we lose someone we love. I’m sure she is still with you in every room of that beautiful home. My heartfelt sympathy to all. It is a poem I love, thank you. As I continue to live it does seem strange, even though, Jeanie as with my parents will continue in my life in a different way. When tomorrow starts without me, don’t think we’re far apart. For every time you think of me, I’m right there in your heart…. I’m so sorry for the loss of this beautiful woman, mother and friend. She sounds like someone everyone would love. Take comfort in each other and the blessing of Jeanie in your life. With our beautiful memories, no one is ever truly gone. My heart goes out to all those who loved your mother-in-law. We are very sorry for your family’s loss. When my daughter and I were at Highclere for the opening day of the Capability Brown lecture series, you spoke very fondly of your beautiful American mother-in-law. We send you sympathy as you honor a life well-lived. 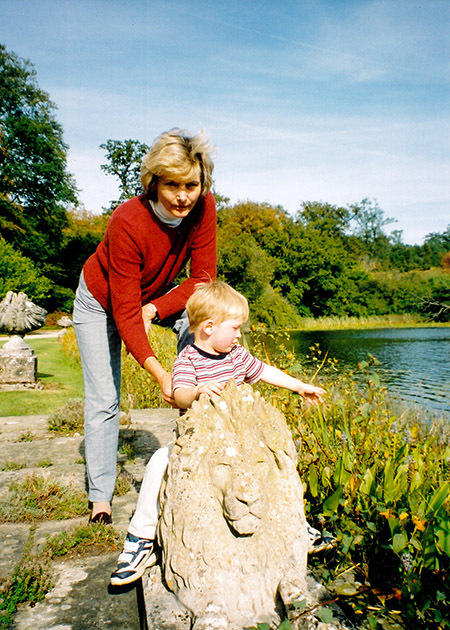 Thank you for sharing such special memories of Jeanie, Geordie’s beautiful mother. My sincere condolences to you and your family. She is in her 80s and this may be the last big trip we can take together from the states to UK, so I am happy that we get to spend at least a few hours at your lovely home for the Cabaret show, this will be a trip she will never forget! Firstly, my condolences to you and all the family. What a beautiful tribute and wonderful memories and photos. Thank you for sharing with us at such a difficult time. May she rest in peace. Lorraine and family. A lovely tribute to your mother in law, my heartfelt condolences to you and your husband. I am so sorry for your loss. Thank you for sharing your memories with us. They are such gems…to be held close to your heart! Sorry for your loss. She seemed to have lived a full life. What a wonderful tribute to a wonderful lady. 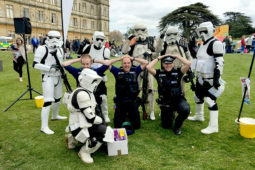 On a more cheerful note we’re coming back to Highclere this September. I intend to learn to dance Charleston. I hope we can still get tickets. Thank you – and the dancing will be fun ! A beautiful soul and a life well lived, RIP and our sympathies to you and family. to quote Jimmy from Downton Abbey : ‘your grief speaks well for her’. I just read about your wonderful Mother-in-love. She certainly left her mark on this world. We need more ladies like her. Thankfully, we have YOU in our world. I’m certain she was very thankful to claim you as her daughter. I know I would be very thankful, indeed. My own Mother-in-law passed away several years ago. She was my ‘Mom’ from the time I met her in 1965. I was 15 years old. I am so thankful for the relationship we had. I’m sure you feel the same. While the pain of losing them is great, I find I reflect on how BLESSED I was to love her and experience her love for me. Not every Daughter-in-law has had this type of relationship. I think she is much grieved for above all by her three children – and we were lucky to know her! My sympathy on the loss of a much loved mother, grandmother and wife. She looks like she was a perfect mix of beauty and sophistication and a down to earth American. I am so sorry that you have lost such a beacon in your life. Geordie must be devastated. 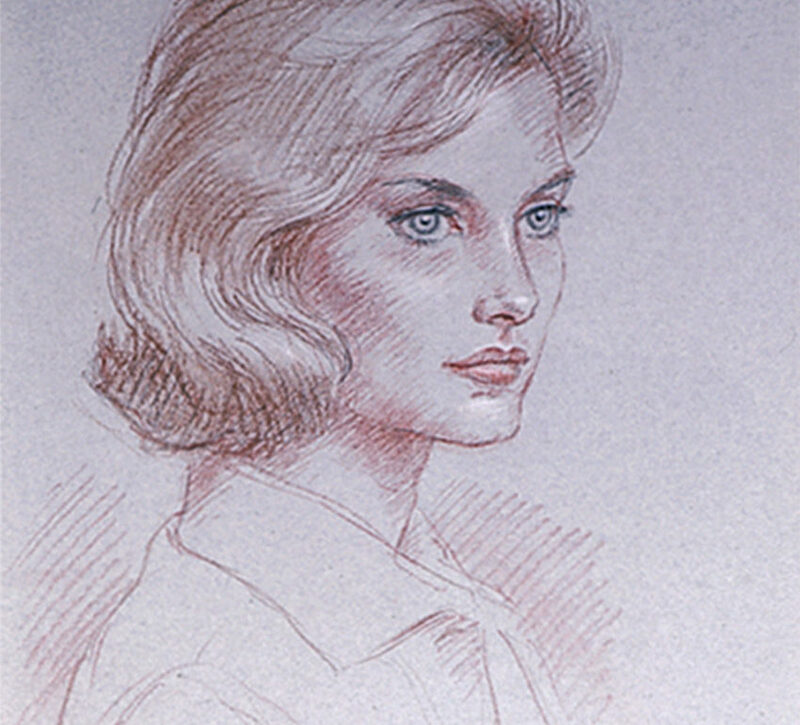 Jeannie looks a little like Jackie Kennedy in that first drawing you posted. You were indeed blessed to have had such a wonderful mother in law. A real gem I can tell. I know your family and friends will help you through this sadness. Jeannie will never be far from you all. She will always be I. Your heart. Deepest sympathy to your family. Such a lovely tribute. I lost my own mother before my youngest sons birth. My mother-in-law has always treated me as her daughter. It’s such a blessing to have that kind of relationship! May your memories of her bring you comfort during this sad time. Your tribute moved me to tears. I am fortunate that my parents-in-law are still alive in their 90s & participating fully in my sons’ lives. My husband died in 2000; his mother nursed him through that last year b/c I was recovering from a serious accident. Your strength in posting such a personal heartfelt essay is also a measure of the woman you are. Thank you for sharing such a powerful story of her accomplishments and forward-thinking view of life. 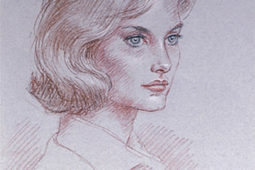 It’s obvious she shared her sense of adventure and love of Highclere with all around her. As a ranch-kid, I understand the desire to be in the serenity of the blue sky, warm scented earth & how a barn of horses can set the world right. May her memory be a blessing to all the family, friends and people whose lives she touched. May you continue to touch the lives of those who consider you an influence & our Monday #friend. Celebrate a life well lived and cherish the wealth of memories. My deepest sympathy to you and all the family, a special hug to Geordie and her other children and grandchildren. Your tribute to her is most wonderful. A truly beautiful tribute! Thank you for sharing these memories of Jeanie. I offer you and your family my deepest condolences and prayers. What a lovely tribute to your Mother-in-law. Cherish your memories, as you were very blessed to have her in your life. I am sure , Lady Carnarvon you will continue to carry on her legacy at Highclere with both grace and style. I am so sorry to hear of your family’s loss. Your mother-in-law sounded like an amazing woman. It seems to me that her son married a woman just like his dear mother. May the upcoming Easter season bless and comfort you with it’s message of life everlasting. As always, thank you for your wonderful blog. So sorry for you and your family’s loss. What beautiful words you write to describe this lovely lady! May you find comfort with all the beautiful memories and with the wonderful poem ‘Death is Nothing at All.’ My family and I had it read at my husband’s funeral. I love the poem – it does make me cry! I think one of my sisters read it at our father’s funeral. Deapest sympathies to you and your family. Our condolences to you and your family in this time of sadness. I am so glad we have both portraits – they hang in the Front Hall at Highclere. I copied both onto canvas to give to Jeanie after her husband had died and Carolyn liked the copies so much they now hang in the sitting room at Milford where she lives! What a lovely tribute. Your mother-in-law sounds like she was a remarkable person. My sincere condolences to you and your husband. I hope that the many wonderful memories you have of her help to sustain you during this difficult time. Thank you for sharing her story with us. My sincere condolences to you and your family. The Dowager Countess will be sorely missed for sure. I wonder what she thought about her history being included in the Crown? Did she ever mention it? You did an absolutely wonderful job in paying tribute to her here. Good job. The Crown is fiction for sure and not correct but a fun costume drama! Sending my sincerest condolences to you and the family on the loss of your mother. Though she was your in-law, my impression from your homage was that she was much more like a second mother, an irreplaceable loved one. Thank you Sherry and just to add I loved her as mother in law, as my Eddie’s grandmother, as part of Highclere and wanted to respect the fact I was not her daughter – that was Carolyn and I think by listening and feeling one’s way I was able to love her and know her better. Your encomium brought tears to my eyes. It is often difficult for a mother-in-law to be loved or even appreciated. Obviously, yours deserved your devotion. Her children are her legacy, but our thoughts and prayers are particularly with her oldest son, her dear daughter-in-law, and her fine grandchildren. Our deepest condolences. What an absolutely lovely tribute – my sympathies to you and to your family on the loss of Jeanie. She sounds like an extraordinary woman and she’s left behind so many wonderful memories. I especially love her wedding gown, and the look she is giving her groom. Just so lovely. It was a pleasure to read about her – thank you for sharing your memories with us. So sorry for the family’s loss. She sounds like a wonderful person. You have shared enough about her that it seems as thought we have been there. I do hope you will continue with books about the Ladies ( and Gentlemen) of Highclere. Your other two books on the subject have been so informative. I will be visiting in three weeks and have such more knowledge about this wonderful place. I have visited in the past but now have so much more to see. Thank you so much and prayers for all the family. My deepest condolences to you and your family st this difficult time. We have recently suffered a couple of losses as well, so we sincerely sympathize. Your tribute is as beautiful as it sounds like she was. As an American I was interested that she was able to make the transition from Wyoming to the Castle back and forth so seamlessly. I’m very impressed with that. She was an adept traveller ..
Our most sincere condolences : from all volunteers of Hampshire Branch, SSAFA the Armed Forces charity. Thank you you Ash she and her husband were so strong in the local community. It has been a privilege for us to work with you! What a wonderful tribute! We say a final farewell to my wonderful Mother-in-law tomorrow. once when we discussed her tributes, I told her what I would say – her response was so typical of her “Crikey are you sure you have the right person?” Such ladies are beacons in our worlds and much loved but never will be forgotten. Thank you – you are right they are/were ever modest ! Deepest sympathy to your husband, you and your family. Jeannie obviously was a very special person who was so dear to you all. Your beautiful tribute reflects the high regard and love with which Jeannie was held. Jeannie’s life and achievements undoubtedly benefited so many. May your fond and loving memories comfort you at this time. My wife Lotty and I were so sorry to hear of your sad loss.Your memories of her will keep you going for years to come.I lost my Mom 45 years ago.My memories of her are still vivid now after all those years Good memories of special people never die. You are right they do not die but it is very new. April is certainly a sad month for all. My condolences to you and your family. She sounded like a lovely lady. I’m sure she will be greatly missed. I have also lost a loved one on the10th. That we have in common. This morning I woke to hear that Notre Dame is on Fire! My heart and prayers go out to you and the French people. We are resilient and the love will feel will not die but carry us on. Notre Dame will rise again as Windsor Castle did. Take comfort in your children. Your sincerely Heather Ranger from Australia. thank you – like you I have just been watching the Notre Dame fire on TV -truly awful, so sad. I’m glad to hear some priceless relics have been saved. Most importantly Jesus’ Crown of Thorns, the Tunic of the 13th Century King of France. What a heartfelt tribute to a lovely woman! I have the privilege of living in Wyoming where Jean’s brother, Malcolm, was our well-respected Senator for many years. You are a wonderful addition to the family carrying on her legacy. Thank you for sharing your memories of your dear mother in law. Mine, too, was more mother than mother in law. Such a blessing. I’m sorry for your loss, but you were lucky to have had such a wonderful mother-in-law. My deepest sympathies on the loss of your dear mother-in-law. What a beautiful tribute you shared with us all. It must have been such a blessing to have her as a role model and support when you joined the family. May the memories of times past keep you and your family comfort you in the days and weeks to come. I am so sorry to hear the sad news of your mother in law Jeanie passing. Jeanie was a beautiful lady not only on the outside, but also on the inside with a beautiful spirit. 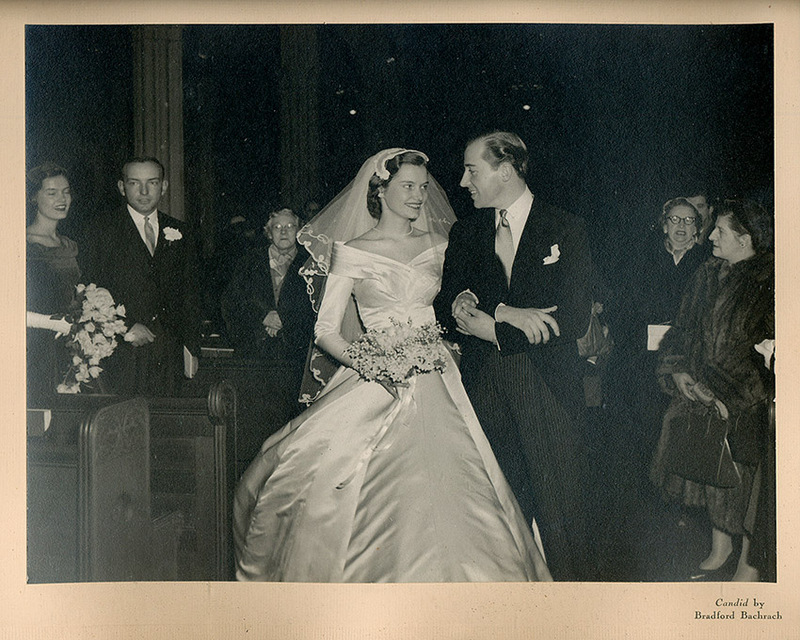 When Geordie married you he also chose someone like his mother inside and out with a beautiful spirit. That is a great comfort for a mother to know when she passes, that her son has such a loving, caring and giving wife and mother of her grandchildren. May God comfort each of you during this very sad time. I shall keep each of you in my prayers. Sending peace, love, comfort and blessings to all of you. My prayers and sympathy to you and Geordie in losing a very special person, Mom & Grandma. Losing someone so special to all in your family is very tough. Just know that she is your angel now with her husband and your Mom all watching the family. If you believe in signs and symbols, she will make her presence known. Much love to your family. A beautiful memorial and salute to your mother-in-law – not all women would be able to say such wonderful things. My sympathy to you and Lord Carnarvon. Thank you Sue – we are heading towards Easter which is perhaps a good time to move to another world ..
I’m so very sorry for your loss, Lady Carnarvon. What a beautiful tribute. My deepest condolences to you, and all your family. What a beautiful tribute to a lovely lady, inside and out. I am terribly sorry for your loss. Deepest condolences to you and Lord Carnarvon. May those cherished memories comfort you as you mourn. The more treasured the person, the greater the loss. I’m sorry you and your family will not have more years with her. My especial sympathies to your husband. How blessed you were to have Jeanie as your mother-in-law, and how blessed she was in return in having you. May you and her family mourn gently and rest in the assurance of faith that her life is miraculously and wonderfully changed now, not ended. Having lost my own mother-in-law in 2011, I know the grief you must be experiencing at the death of this lovely woman. The bond between mothers- and daughters-in-law is a special one, and her strength and beauty live on in you and the beautiful Highclere. May she rest in peace and rise in glory. Sending prayers from the United States. We are so very sorry for your grief. Please accept our deepest condolences upon your loss. We all know she is now singing with angels and will one day all will be reunited. I’ve lost both my mother in law and mom to cancer, so the feeling of great loss is familiar. Through it though, we relive our wonderful memories and are grateful for the love and joyful memories. Deep condolences on your loss. What a lovely lady and a lovely tribute. My condolences on your family’s loss. Your beautiful tribute leaves us with a sense that we all knew this amazing woman. May she rest in peace. A lovely tribute to a lovely lady. My mother and I offer our deepest condolences to you and your family. May love and memories bring comfort to all of you in this time of grief. What a beautiful life lived if it made such a loving impression on so many. My condolences. I am so sorry for your loss. Your tribute was heart-felt and ever so beautiful. My prayers are that you all will be comforted in your time of grief. This is a lovely tribute to a lovely lady. The painting shows her graceful features. May her soul keep shining bright. I forgot to mention that she was also a talented watercolourist! I am so sorry for your loss. What a wonderful woman and what relationships she built with so many people. Thank you for telling her story. Dear Lady Carnarvon, my heartfelt condolences to you and your family !! No matter what age you are, when you lose a parent you feel like an orphan, may the happy memories be of great support in these sad hours…..
What lovely memories of a very interesting woman. So sorry for your loss. What a lovely write up about your mother in law. I bet she would say wonderful things about you also and be thrilled at your depiction of her life and what it meant to you. I am so glad for you that your heart is full of lovely memories and that you can now hold them dear. She lives on, not only in you and your husband, but in everything she has touched throughout her time here on earth. Her soul surrounds you…breath in, look around, take in the essence, and try to keep your smile on. She’s watching you….and still loving you. Much love and sympathy from us here in SoCal. She was a kind, gentle lady with a great smile! Our family’s sympathies to you in your loss. These memories are lovely and this tribute a special gift. Wishing you the joy of the Resurrection this Easter, especially at a time like this, when we look forward to seeing our loved ones again in Heaven. Thank you for sharing your family with us. Sympathies. I am so sorry for your loss. Praying for God to comfort you and your family during this sad time and in the days ahead. My heart goes out to you. We know that no words can help ease the loss you are feeling. It is the little things, the small, everyday occurrences that revive the pain but as hard as it seems, these will turn to happy memories and bring back the smiles. Someone once wrote: Perhaps they are not the stars, but rather, openings in heaven where the love of our lost ones pours through and shines down upon us to let us know they are happy. A wonderful lady and friend. Straight and true, just like dear Henry. It does seem so painful – the end of an era! I am so very sad to hear this news. Jeanie was my Godmother, and I have so many lovely memories of stays at Milford Lake, and Carolyns wedding. My love and deepest sympathies to you all. Some of us are lucky enough to have the most wonderful people cross our paths and envelope us in their lives. She was one of those people and you were one of those lucky people. The memories of her will always be with you to give that warm, cozy feeling as they cross your mind. A sad time for you both and know many people think of you at this time of loss. Lord and Lady Carnarvon ~ Wishing you and family much peace, comfort, love of family and wonderful memories in the coming days.